The Menstuff® library lists pertinent books concerning various feelings including anger,assertiveness, depression, fear, forgiveness, general, grief, joy, loneliness and shame, which are listed separately. See also books on death, feelings-general, anger, assertiveness, depression, fear, forgiveness, joy, lonliness, shame and Issues. The Healing Power of Creative Mourning: Poems. The poems in this new collection deal with the universal themes of coping with illness, death, grief, loss, and bereavement. From the preface by Fred and Jan Yager, "Creativity can help to fill the emotional void caused by a loss. It empowers you as you take that loss, whether it's because of terminal illness, death, or separation and create something from it. But whether or not you write your own poetry, there is a cathartic benefit to reading the poems of others. They're also meant to entertain, like a good blues ballad..." The collection also includes an Epilogue on coping with grief, including selected references and a list of resources for information or direct help, including web site addresses. Topics dealt wth in this original collection include: coping with a miscarriage, illness and death of a father; a mother, a brother, a grandfather, a friend, a therapist, and John F. Kennedy, Jr.; the holidays after a loved one dies; death during the Vietnam War, and more. Hannacroix Creek Books, www.hannacroix.com or hannacroix@aol.com 2000. ISBN 1-889262-47-1 Buy This Book! Blauner, Bob, ed, Our Mothers' Spirits: on the death of mothers and the grief of men. No event in recent memory has better illuminated the powerful connection between mother and son that the recent death of Princess Diana. In this timely and moving new anthology, Bob considers the personal impact of Diana's death upon her sons William and Harry, and how sons come to terms with this profound loss, often slowly, throughout the rest of their lives. This book is a powerful collection of beautifully rendered tributes to the women who bore some of America's most talented, thoughtful male writers. These moving essays combine heartfelt, sometimes painful memories with rare insights into the nature of the often unexpressed feelings that sons have about their mothers. Regan Books www.harpercollins.com Paperback version. 1998 Buy This Book! 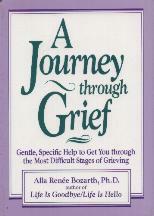 Bozarth, Alla Renee, Journey Through Grief: Gentle, specific help to get you through the most difficult stages of grieving. In the long and anguishing journey of grief after the loss of a loved on, the author sensitively brings a message of assurance, comfort and hope. She will tell you wht to expect, what to do, and what to think. She will help you to understand the physical symptoms of grieving and to express what the loss really means to you. "Grief is a passion...we can meet it, endure it, and become quiet victors through the honest and courageous process of grieving well." Hazelden, 1994 ISBN 1-56838-037-2 Buy this book! Fumia, Molly, A Piece of My Heart: Living through the grief of miscarriage, stillbirth, or infant death. The loss of a child to miscarriage, stillbirth or infant death is a devastating experience to parents who were anticipating the joy of a new presence in their lives. Although their feeling are real and complex, there is often not an acknowledgment of the deep attachment the parents had to this young life, and so they are ultimately denied a safe place to live through their grieving. 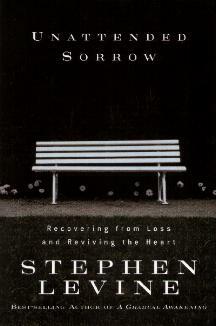 The author provides that safe place where grieving can lead to healing. By telling her powerfully moving story - the loss of her week-old son, Jeremy - she affirms the sacred right that all of us have to mourn the loss of children. She gives us hope that in dealing with the pain and honoring the grief process we all can eventually be healed. Conari Press, 2000 ISBN 1-57324-510-0 Buy this book! Golden, Thomas, Swallowed by a Snake: The gift of the masculine side of healing. This book is about loss and is meant to be a map and guide through such an experience. It will help both men and women understand the masculine side of healing and help men move through the pain of loss and into a place of transformation. You will discover new and powerful ways to heal, how the genders differ in their healing, have a greater understanding between partners, see examples of successful and unique healing strategies, see a path to realize and honor your own uniqueness, see new ways to understand your grief, and see ways an individual's loss can impact the entire family. Golden Healing Publishing for Tom's "crisis, grief and healing" website, click here www2.dgsys.com/~tgolden/ 1996 ISBN 0-9654649-0-3 Buy this book! Second Edition, McDonald & Woodward Pub Co. 2000 ISBN: 0965464911 Buy this book! Hall, Donald, Without. These poems are written to and for his wife, who died in 1995. The first half sketches her illness and death; the second half addresses her in the ensuing year. Unlike Thomas Hardy's elegies to his wife, Emma, "they celebrate a marriage of deep intimacy and great happiness". Hall speaks to us all of grief - as a husband and as a poet lamenting the death of a poet. Author of thirteen volumes of verse and many books of prose, this is his greatest achievement. He continues to inhabit the farmhouse, occupied by his family for generations, where he and his wife lived. Houghton Mifflin Company, 1999 ISBN 0-395-95765-6 Buy This Book! James, John & Russell Friedman, The Grief Recovery Handbook: The action program for moving beyond death, divorce and other losses. Incomplete recovery from grief can have a lifelong negative effect on your capacity for happiness. Drawing from their own histories, as well as from others, the authors illustrate what grief is and how it is possible to recover and regain energy and spontanetiy. Based on a proven program, now extensively revised, the handbook offers grievers the specific actions needed to complete the grieving process and accept loss. For those ready to regain a sense of aliveness, the principles outlined here make this a life-changing handbook. HarperPerennial www.harpercollins.com 1998 ISBN 0-06-095273-3 Buy this book! Levang, Elizabeth, When Men Grieve: Why men grieve differently & how you can help. Bradshaw says "Finally we have an honest, straightforward portrayal of men and grief." "This book will lead many men (and the women wsho love them_ to deeper undersatnding and healing," says Ken Druck. This book looks at grief and shows why women seldom understand men's grief and why, so often, men remain in grief for a much longer period, once they begin. Fairview Press, 1998 ISBN 1-57749-078-9 Buy this book! Mazis, Glen, Trickster, Magician & Grieving Men: Reconnecting men with earth. This book shows how many men are unable to deal with the pain, preferring to fly above the earth - and their feelings. The author brilliantly contrasts the Desert Storm War - with its emphasis on air power and men insulated in their super tank-bodies - with the way men deal with personal challenges in their everyday lives. Then, using male images drawn from recent films and from ancient stories, he champions men who are able to embrace pain, who see themselves humorously, who are playfully caught up with others, and who savor the sensual richness of the planet. Bear, 1993 ISBN 1-879181-11-8 Buy this book! 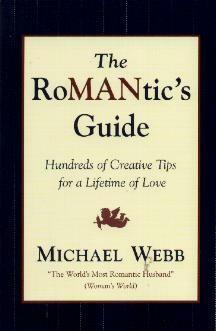 Webb, Dwight, 50 Ways to Love Your Leaver: Getting on with your life after the breakup. In this compassionate, engaging guide to examining the emtional wounds of loss, the author helps you discover your own personal way of grieving, learn to express yourself in healthy, productive ways, and avoid the blame and bitterness that can seriously affect your physical, social, psychological, spiritual and sexual life. Why should you love your leaver - the person who betrayed your deepest trust? Possibly your best friend? Why should you be loving when you're angry? Anger is okay? It stems from self-love. However, it will not serve you if it becomes your weapon of revenge. If your motive is to even the score, your anger, like a volcano, will destroy everything in its path and leave you smoldering. Drawing on the work of Dr. Elisabeth Kubler-Ross, the author has developed 10 steps of grieving relationship loss. Using this model along with revealing exercises to help you chart your own process of grief and recovery, you can work through your feelings of initial shock, denial and anger. This process gradually moves you toward understanding, acceptance and taking charge of your life with renewed faith in yourself. The fifty ways of "loving your leaver" cultivate self-discovery and building the joyful optimism and self-confidence vital to learning to trust again. Among his tips for rekindling the spirit of your more open, sensual, sexual, romantic and playful self, he suggests you: Let in the truth and deal with as much reality as you are able to and still cope. Find support with friends and famly when you can, and a professional counselor when necessary. Let go and wish your former partner well. The goal is to grieve the loss and come up stronger, smarter and happier. It is not just recovery to where you were, buy beyond to a stronger and clearer state of consciousness with greater stability and balance. Impact Publishing, 2000 ISBN 1-886230-22-6 Buy This Book! Women cry an average of 5.3 times a month, men 1.4 times.